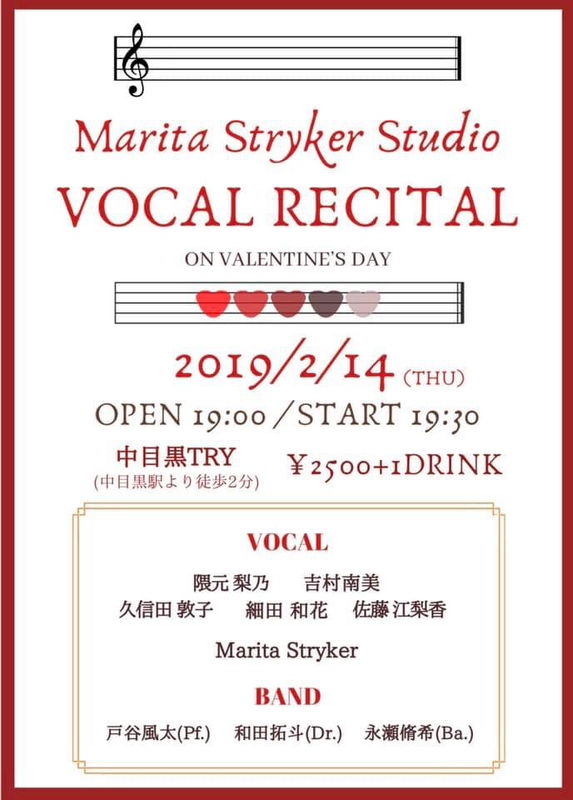 The hard-working students of Marita Stryker Studio will be performing a Rockin’ Recital on Valentine’s Day! 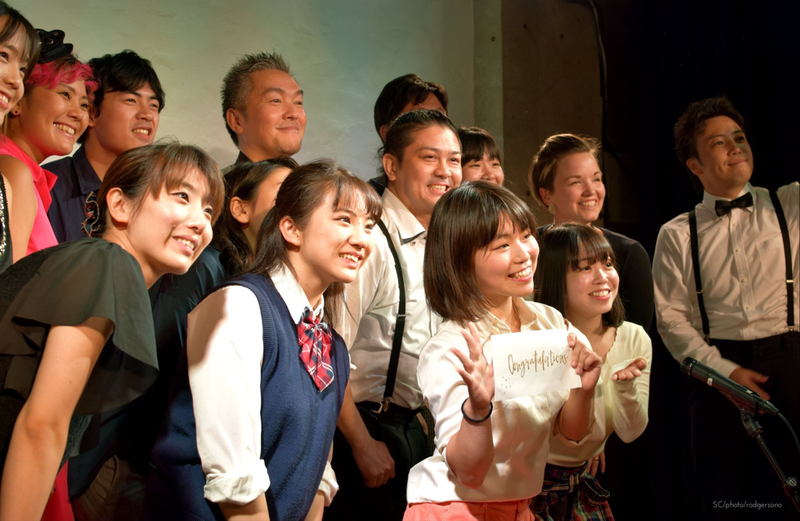 Come enjoy the vocal stylings of these fabulous young artists! 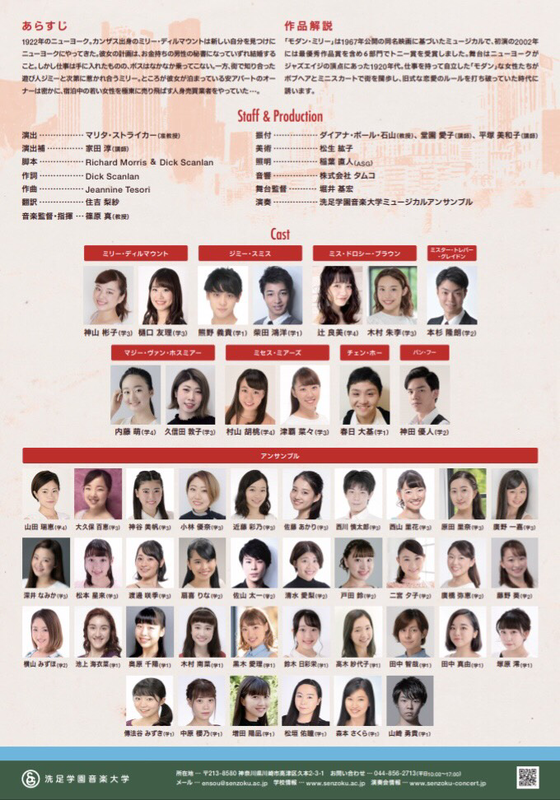 Marita will be directing the 1st Annual Winter Musical Showcase for the Senzoku Gakuen Musical Course. 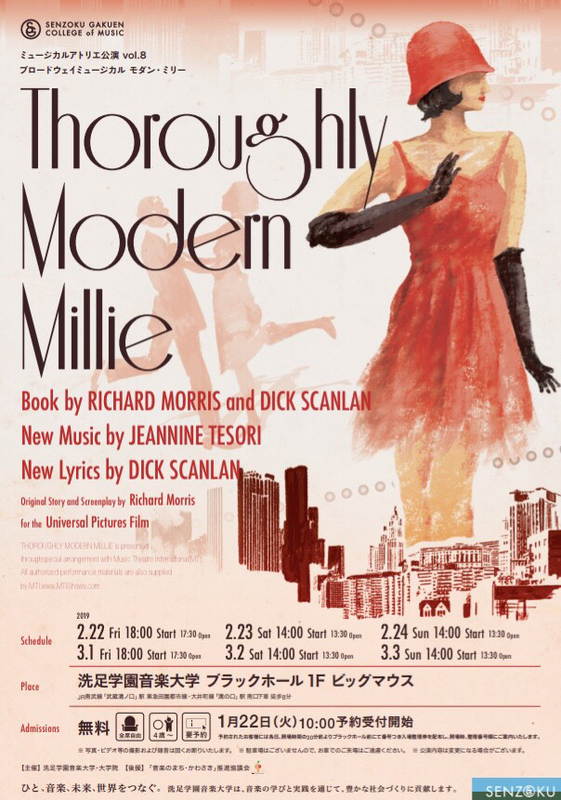 This will be presented by the first and third year students who have been studying the music of Rodgers & Hammerstein and Kander & Ebb. 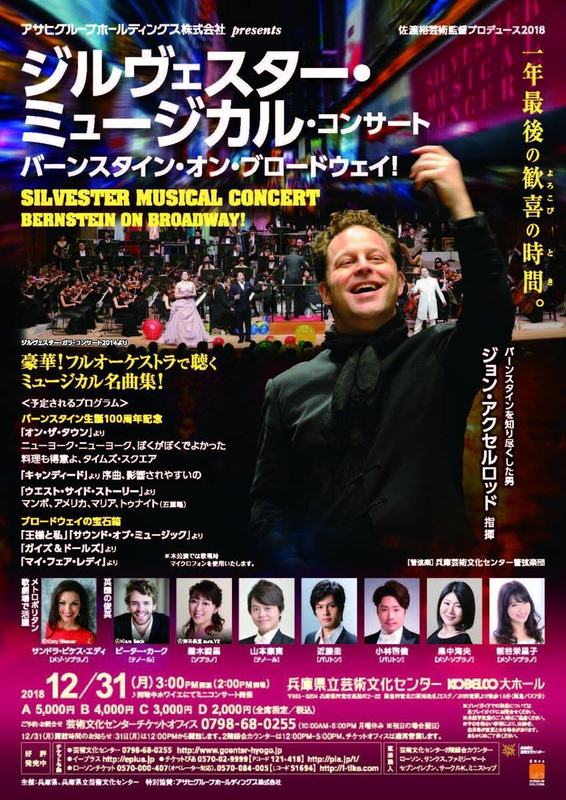 If you will be in the Kobe area over the holidays, be sure to get tickets for the New Year’s Concert at Hyogo Performing Arts Center. 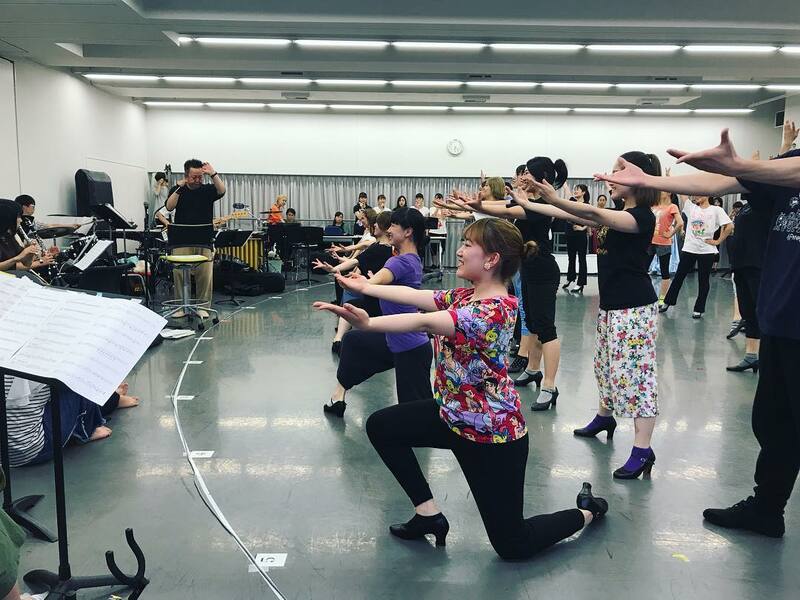 It will be a celebration of Bernstein, directed by June Iyeda. 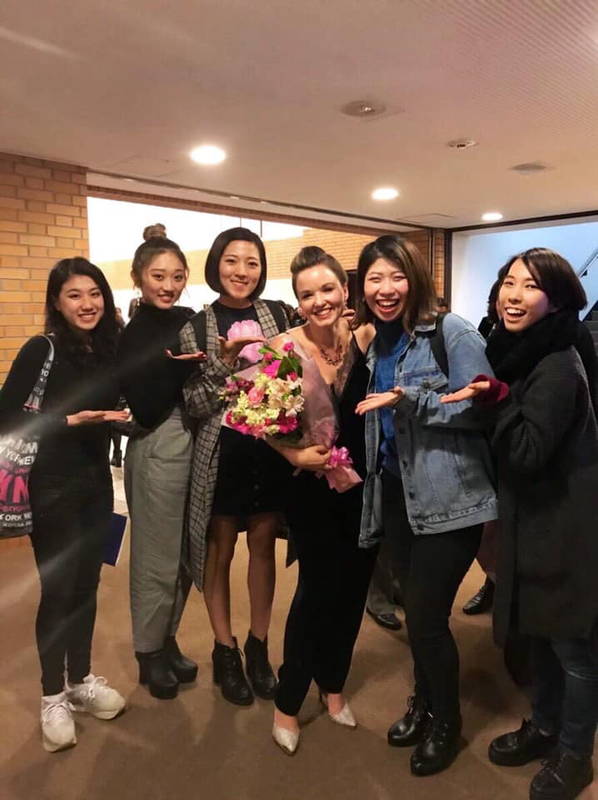 Marita has taken on the role of vocal coach for production. 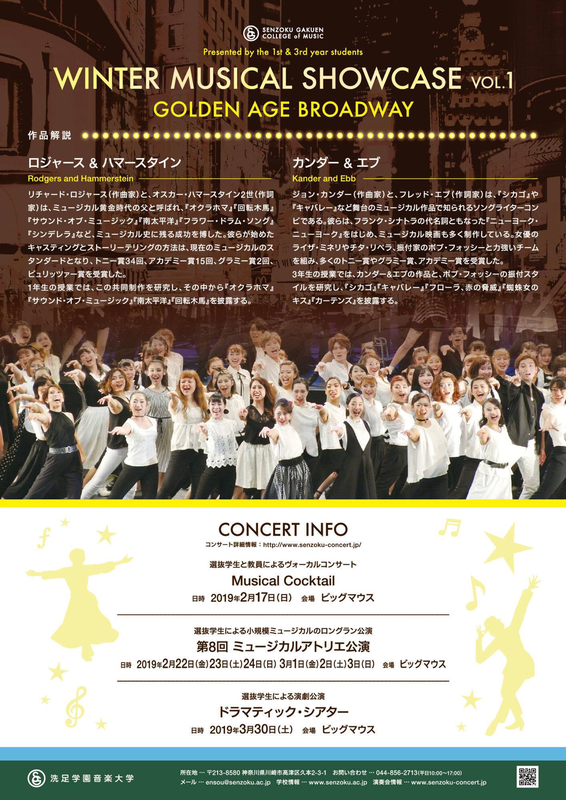 Senzoku Gakuen is holding a special edition Musical Cocktail: Masters’ Concert, featuring the faculty of the Musical Course. 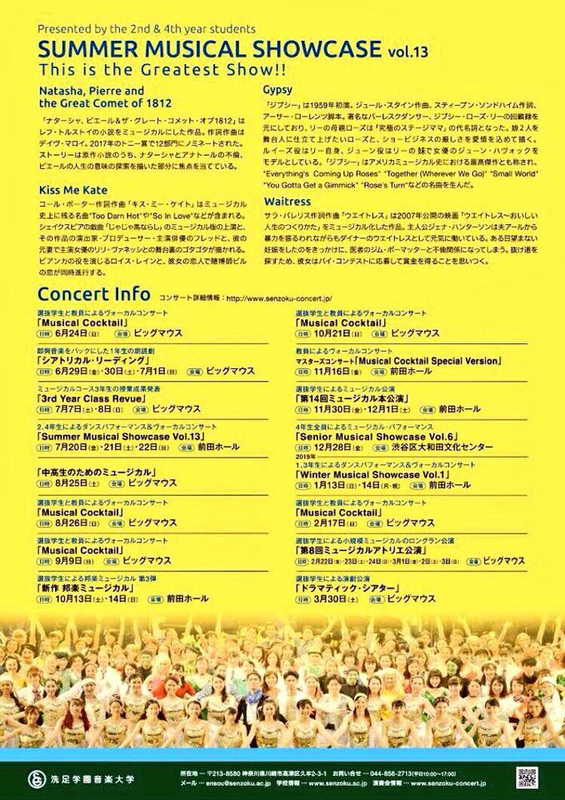 Come see Marita sing, along with some of her fabulously talented colleagues! 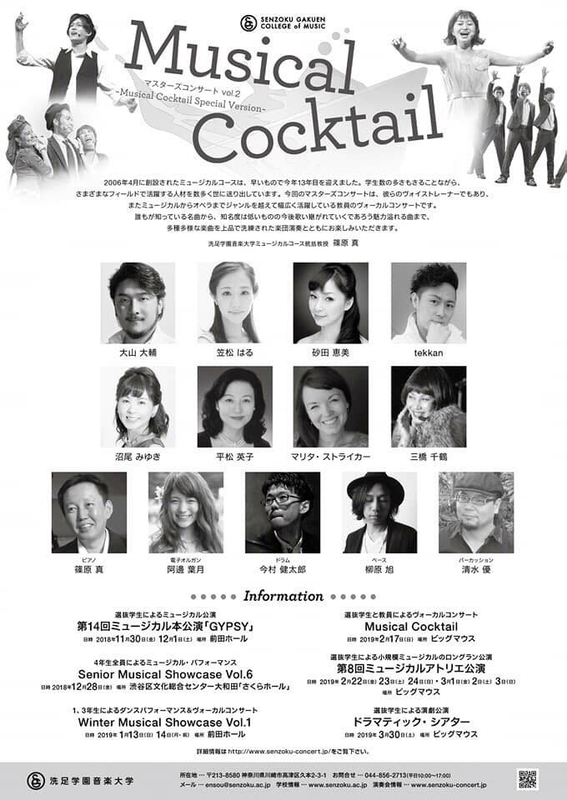 Marita is excited to perform as a Guest Artist at Smash Cabaret in Tokyo! 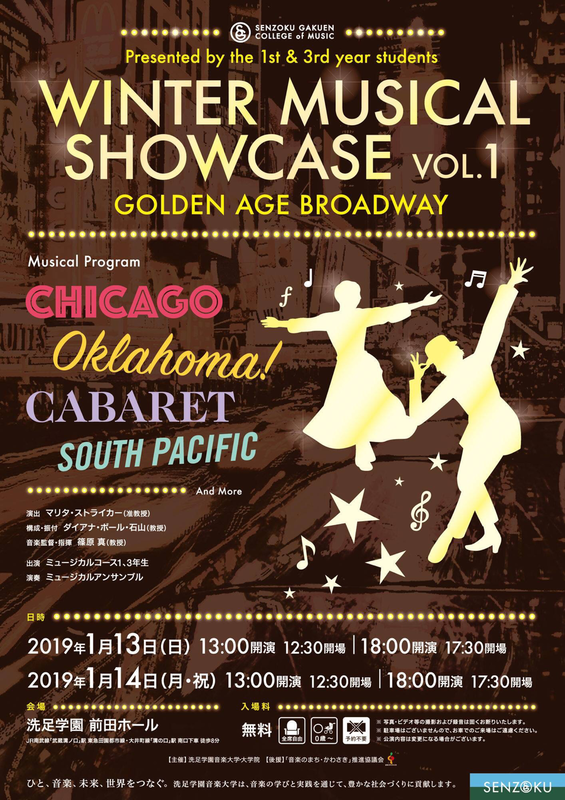 The theme this month is “Rage and Joy.” Come hear this month’s contestants as they compete for your votes in this fun, monthly musical theatre audition show! 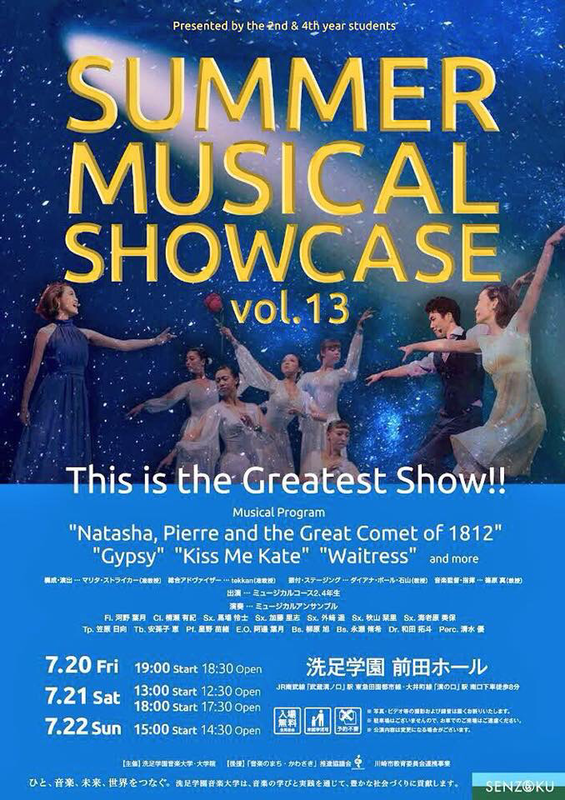 After a full semester of study and rehearsal, the second and fourth year students at Senzoku Gakuen College of Music, Musical Course, under the direction of Marita Stryker, are excited to present their Summer Musical Showcase: This Is the Greatest Show! Featuring performances from Natasha Pierre and the Great Comet of 1812, Kiss Me Kate, Gypsy, Waitress, and more! 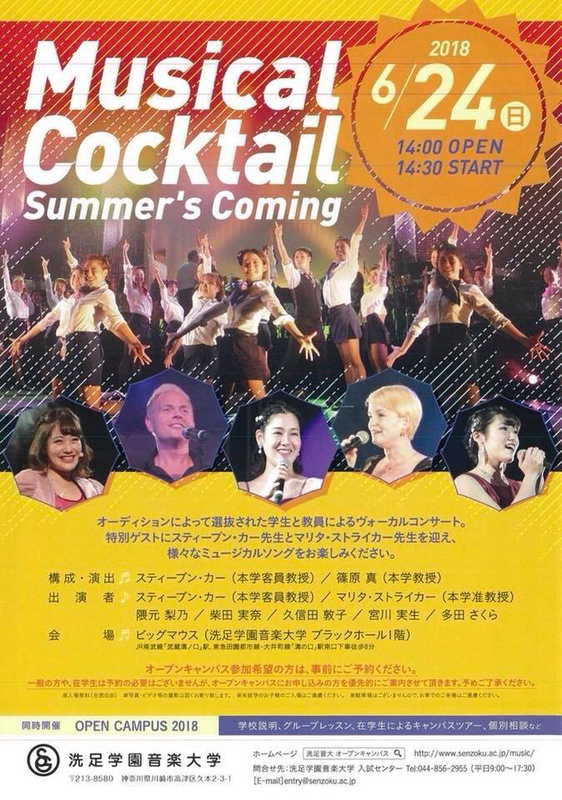 Come see Marita sing at the Summer Musical Cocktail, along with visiting tenor, Stephen Carr, and some of the talented students from Senzoku Gakuen Musical Course! 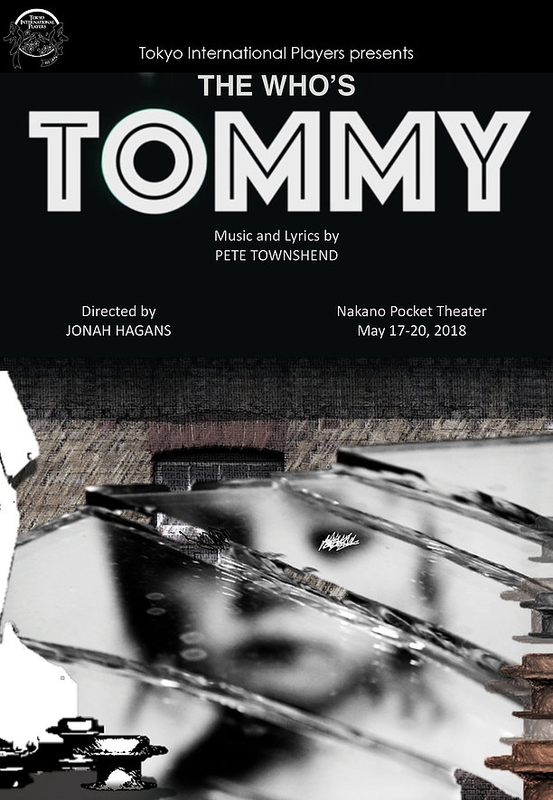 Tokyo International Players presents The Who’s Tommy. Marita will be playing The Acid Queen!